Founded in 2014, Boots in the House, is a local, non-profit organization dedicated to supporting the emotional health and well-being of military service members from all branches of the U.S. Armed Forces, past, present and future. Located here in Arizona, Boots in the House is 100% volunteer based and 100% of the donations go to outreach programs. Boots in the House Founder Jamie Sisteck says even though they can’t always communicate with the recipients of their care packages, when they do, it makes all the labor of love worth it. Boots in the House is collecting items to send to our troops and K9’s. All boxes are hand decorated with art and notes. This is a great way to give back! The Klaus Team is super excited to help! If you would like to help, drop off items at our office 2919 S. Ellsworth Rd. #133, Mesa, AZ 85212 before April 30th. Volunteers are also needed to pack boxes being sent, Friday, May 10th & Saturday, May 11th at the First Baptist Church of Tempe. For more information visit BootsinTheHouse.com. . In addition to the Top 10 Care Package Items (above) other items appreciated are comics, condiments, playing cards, magazines, hand written letters, (most come from various schools, churches, youth groups and scout troops). 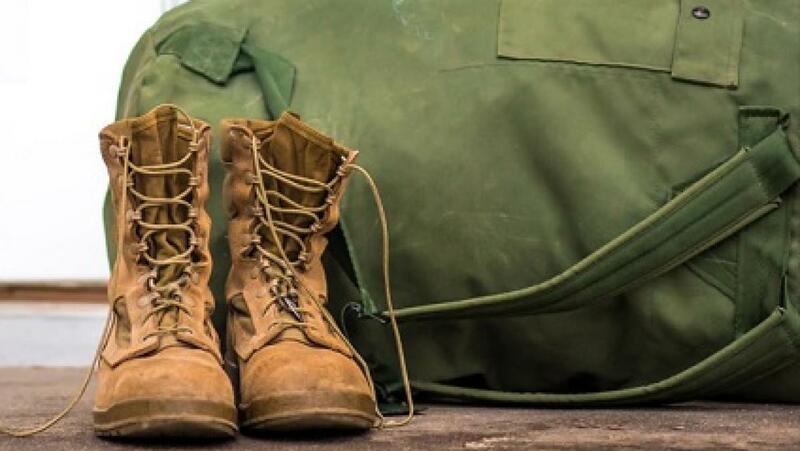 “Boots in the House” is a phrase used by military families when they are announcing their military family member has come or is coming home! Show your Patriotic Spirit and Help spread love to a deployed soldier or K-9 Unit!